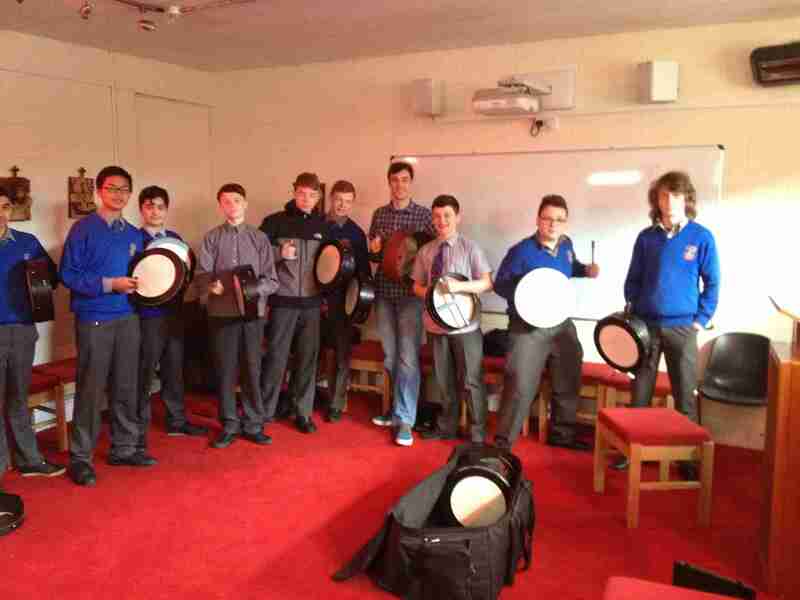 Tempo Music School was invited back again to work with 2nd year and TY students in St Vincents secondary school in Glasnevin. The workshops went very well it some of the lads proving to have plenty of natural rhythm. We were joined by dancing master and accordion maestro Shay McGovern for a few steps, well done everyone.